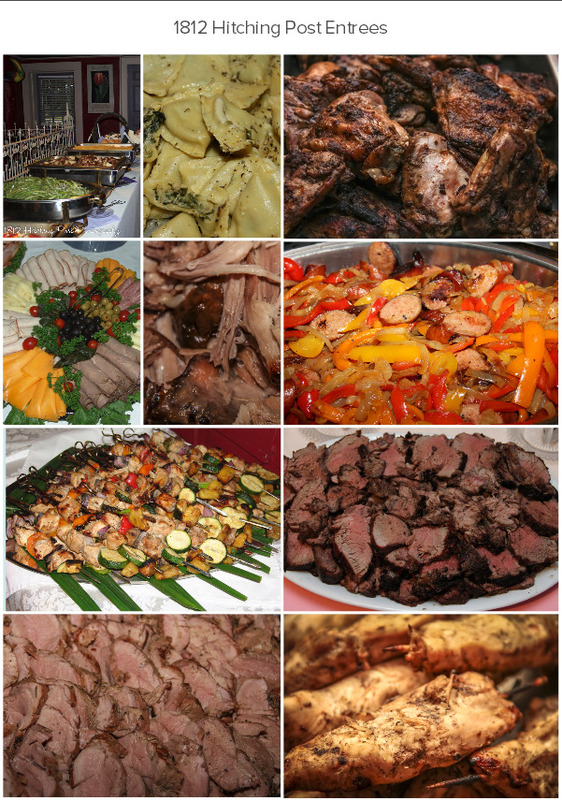 At the 1812 Hitching Post, we offer buffet style and stations for your food service. Choosing this style of menu helps with the outdoor party mood and mingling. Your guests have a large selection of dishes and even those with dietary restrictions are able to choose a satisfying and delicious meal. You have many more choices for the money with a buffet than with a plated dinner, and your guests will appreciate the wide variety. If you have elderly guests, our staff will make and serve them a plate, if requested. With the Silver package menu, choose one entree. With the Gold package menu, choose two entrees. With the Platinum package menu, choose three entrees.